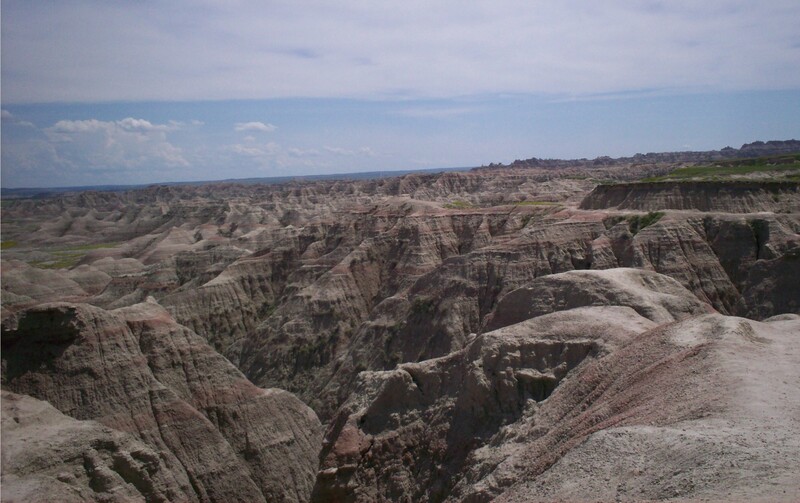 Our 2009 Road Trip, Part 9: Into the Badlands « Midlife Crisis Crossover! No relation to the Springsteen song. 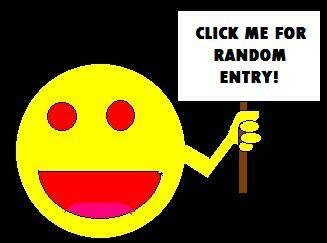 Like, at all. 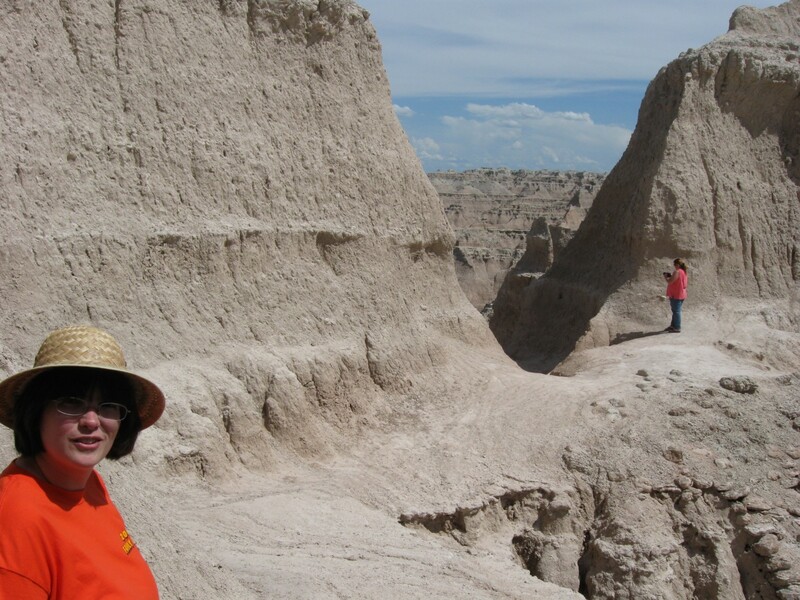 Longtime MCC readers with superhuman memories, including and possibly limited to my wife, may recall we previously posted pictures from our Badlands experience here years ago and then here last year, plus a teaser in the previous chapter. At long last we now come to the entry I’ve all been waiting for: our official Badlands chapter, within the original narrative context. 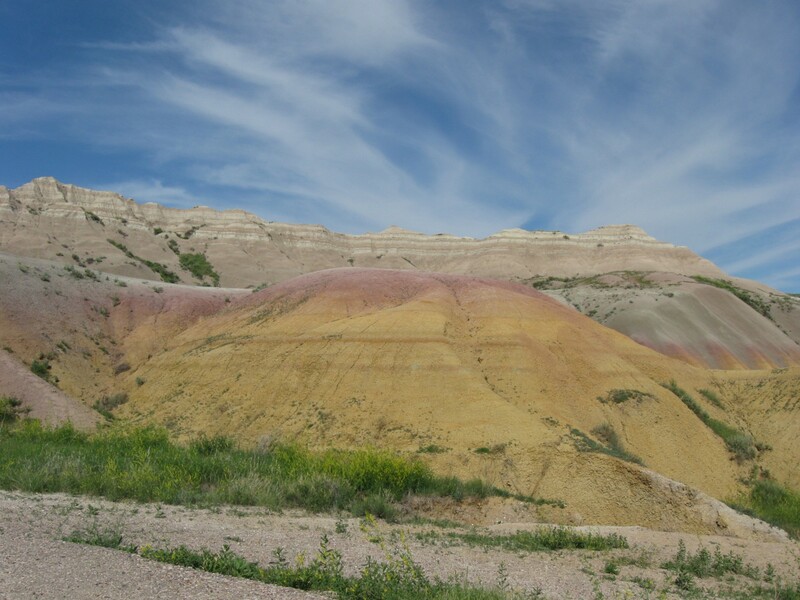 Of all the natural sites we’ve ever visited throughout our travels, we took more pics of the Badlands than any other…which means these took twice as long to whittle down to the following finalists. 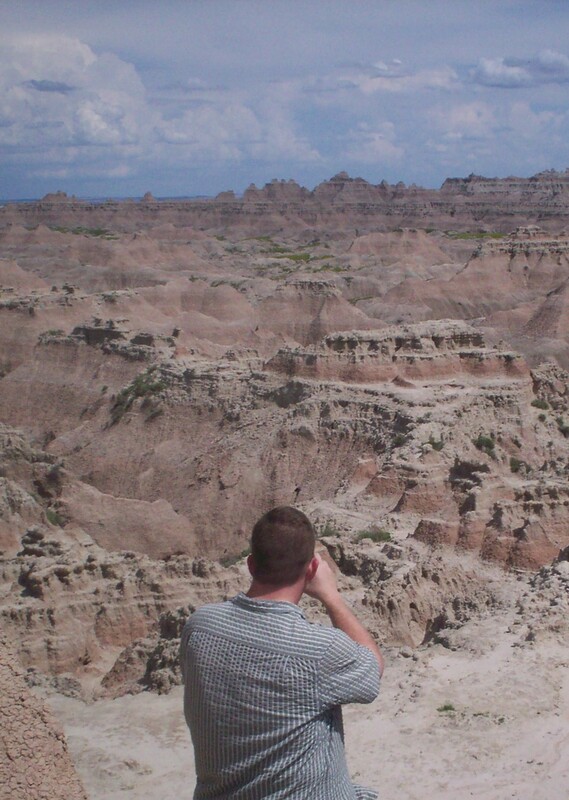 It’s entirely likely there’ll be a bit more Badlands in the “outtakes” entry at the end of this series. 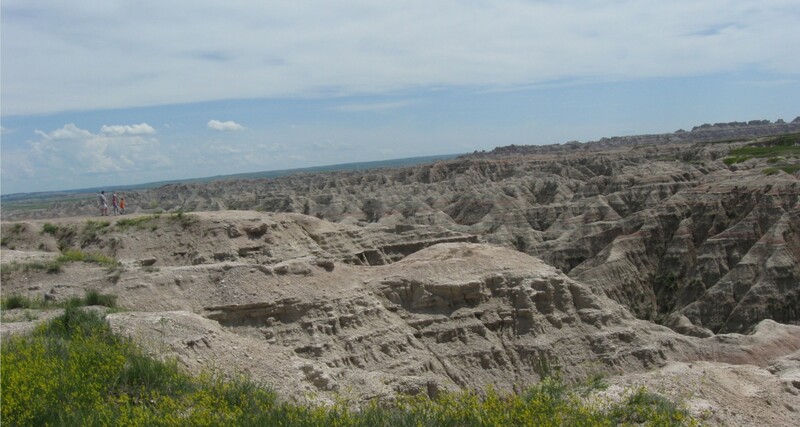 For now: Badlands! 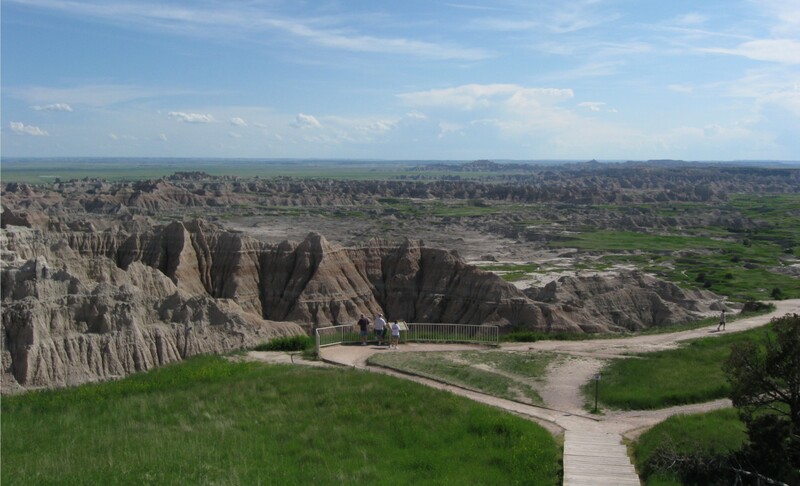 Welcome to Badlands National Park! Boy, do we got rocks. 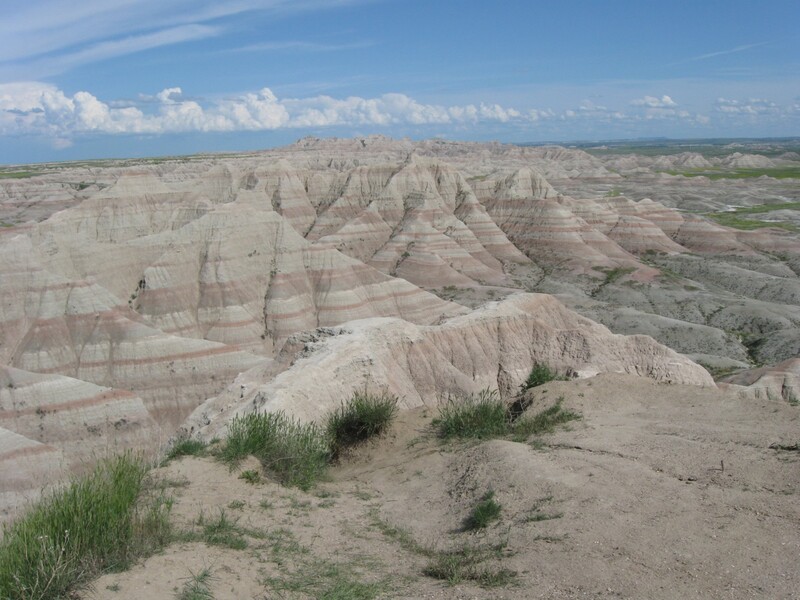 The Badlands may not qualify as a mountain range, but you couldn’t tell by looking at some parts. 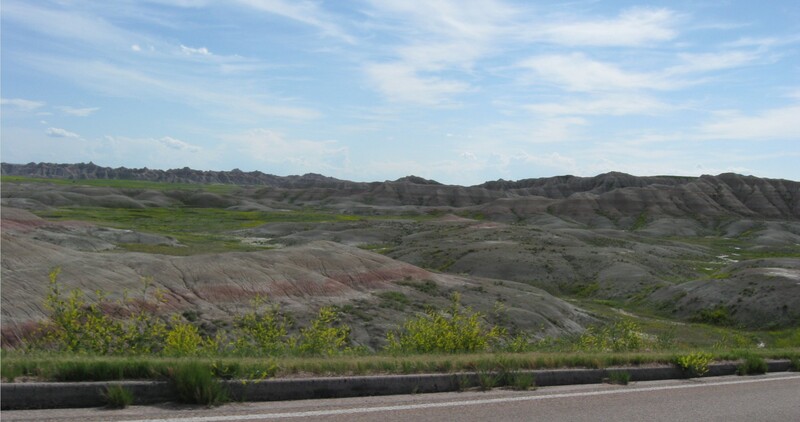 After the long drive west through virtually nothing, we exited I-90 and drove into Badlands National Park. Like Niagara Falls, pictures don’t really do the place justice. 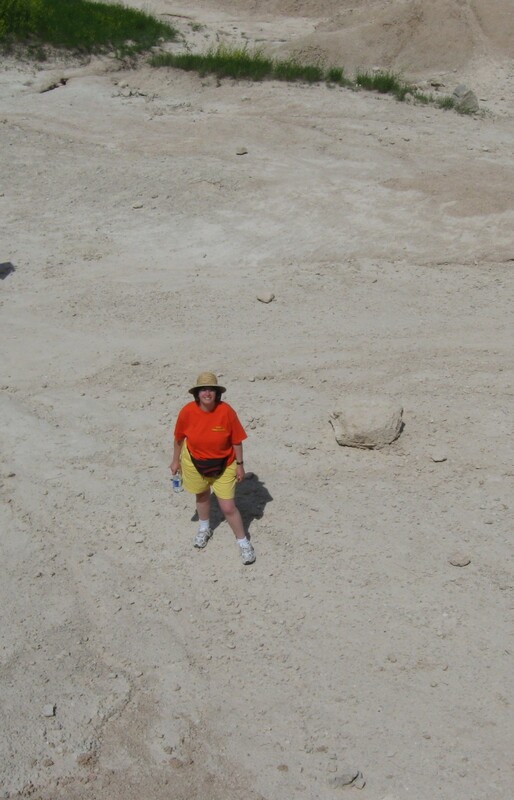 Other tourists kept popping up here and there to provide a sense of scale and proportion. 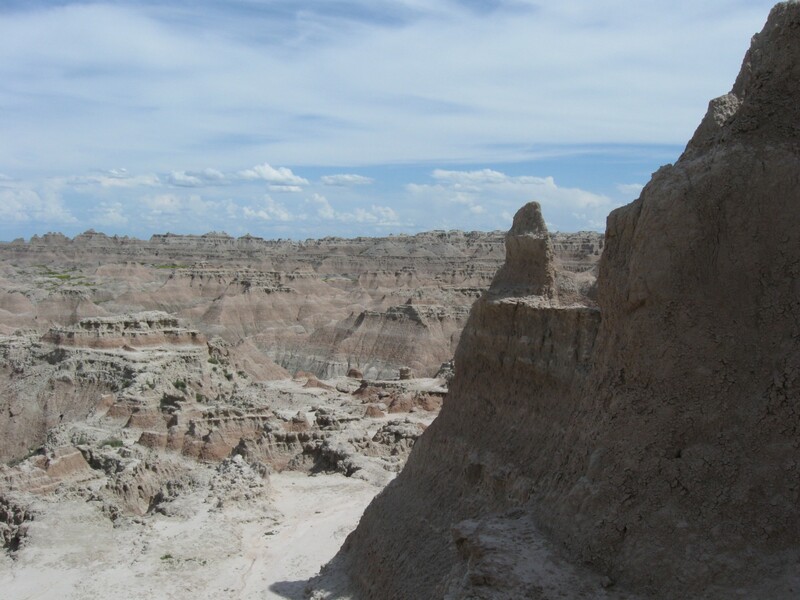 South Dakota achieved statehood in 1889. 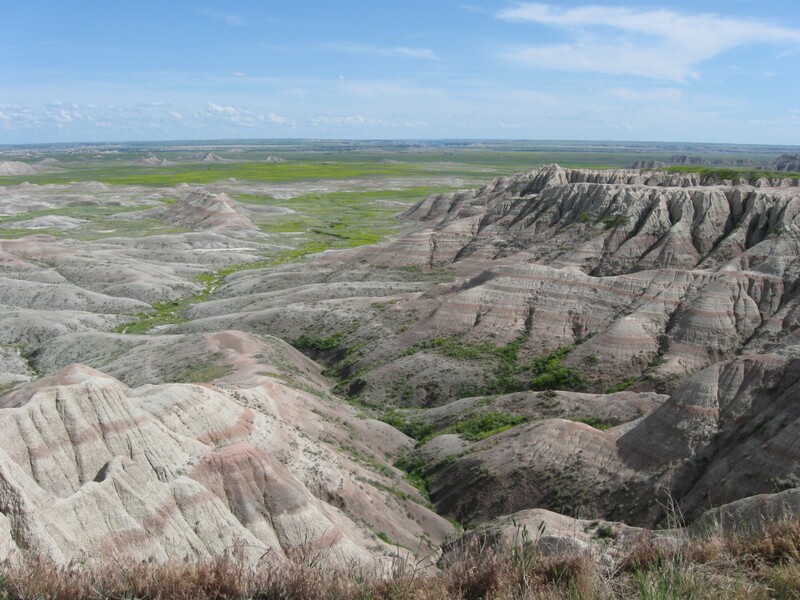 The Badlands preexisted our occupation, but have been viewed as capital-M Monuments since only 1929 and weren’t labeled a National Park until 1978. I assume the paperwork took a while. Flat portions can be found here and there between the peaks and ravines. 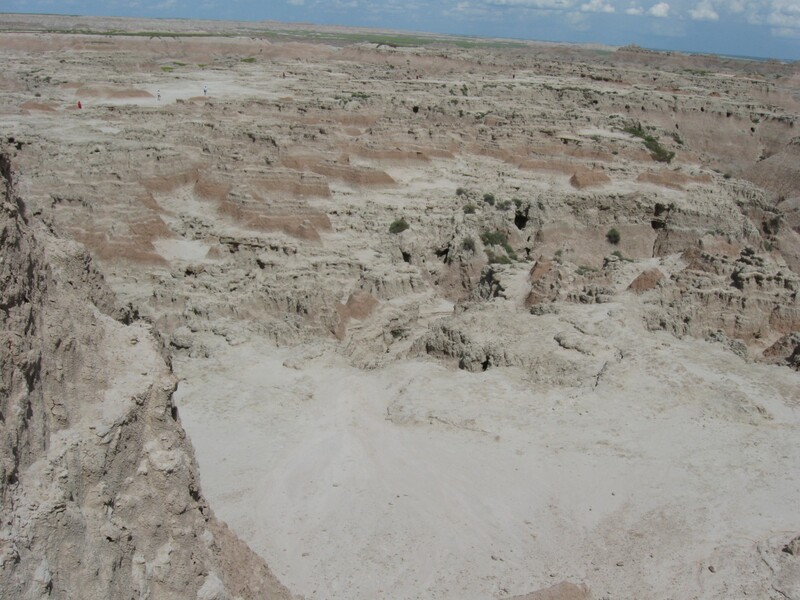 Travelers can navigate and sightsee the Badlands via twenty-odd miles of convenient highway. We parked a few times at different locations throughout and walked around at length, just enjoying the vistas, walking over mounds, climbing up miniature cliffsides, avoiding suspected rattlesnake harbors, and scaring Anne by standing over sheer drops at angles waaaaaay too sharp for her comfort. 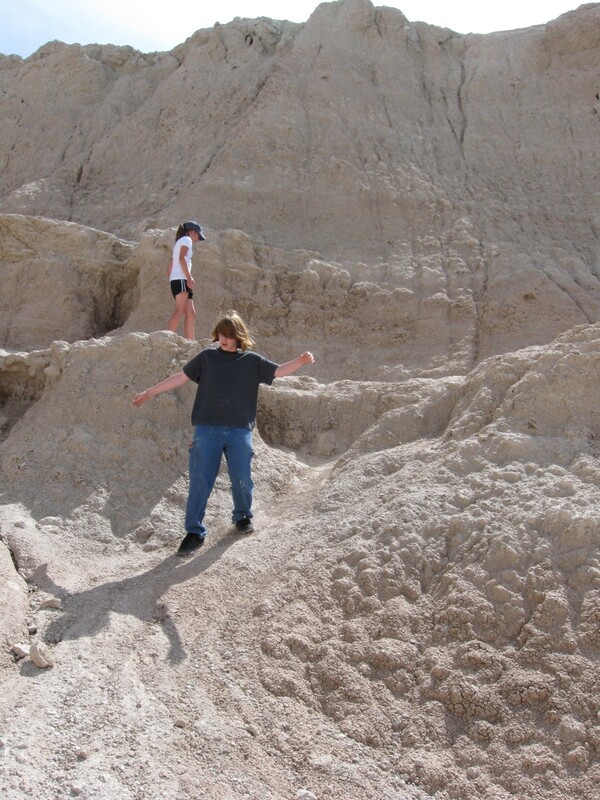 My son couldn’t get enough of the scenery or of his stepmother’s frightened expressions. After several minutes of gleefully terrifying exploration, he also couldn’t get enough water in his system. 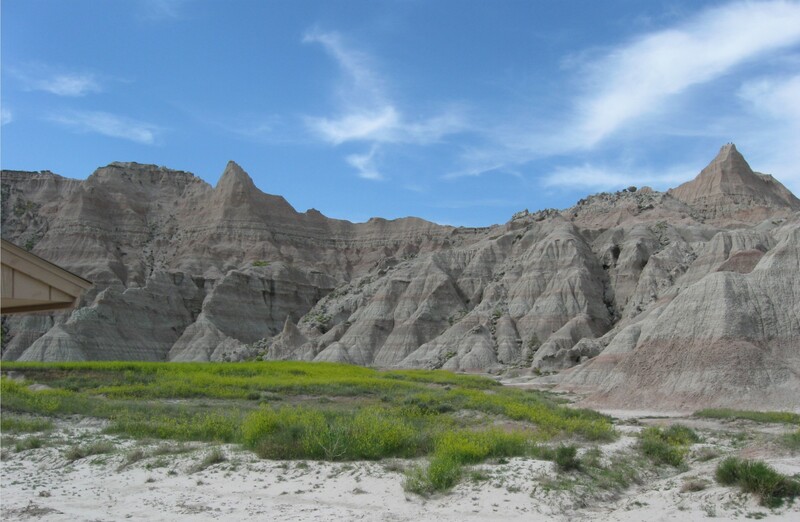 The Badlands atmosphere isn’t just dry, it’s practically desiccative. The air around us was so dehydrated that it had to extract water from us to keep itself from disappearing into a vacuum. On this extremely sunny day, shade was scarce and not always in the safest places. A few areas had fences and other nominal safety features in place. Elsewhere, nature refuses to be fenced in and you’re standing right there on the edges of some serious precipices. 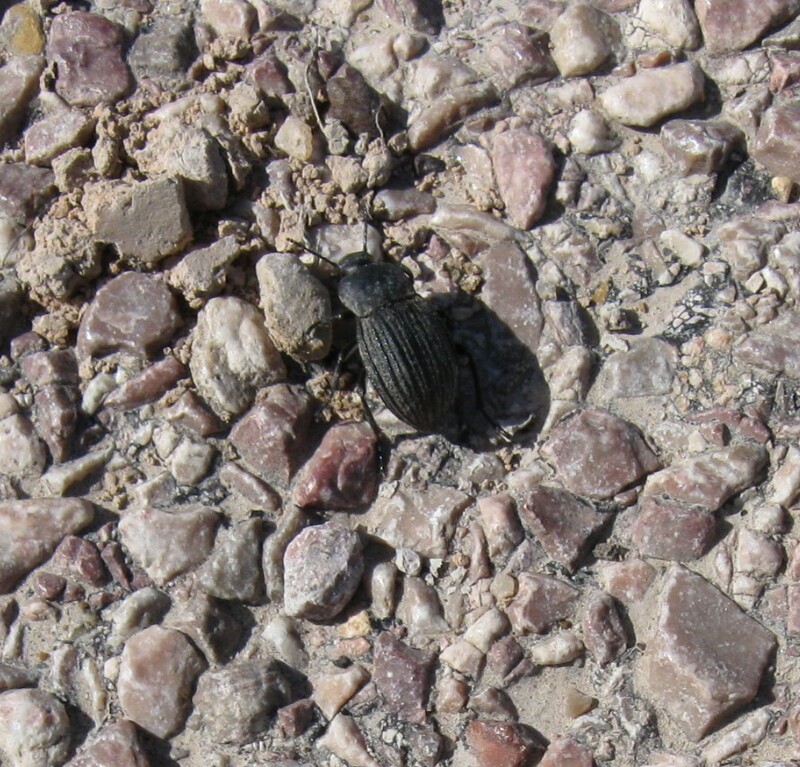 As you’d expect, South Dakota wildlife differs from what we have back home, such as this ornate bug. 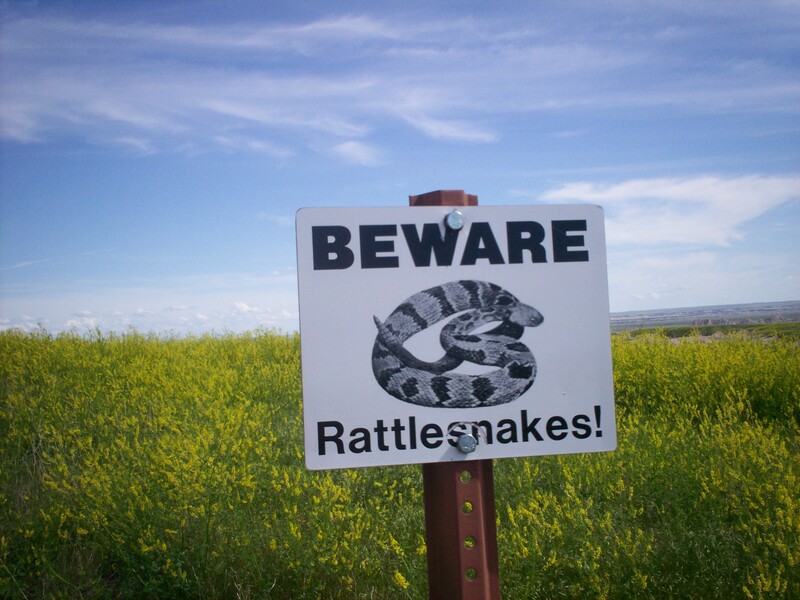 We saw zero rattlesnakes around the perimeter. We were okay with this. The terrain shifted as we drove further west, pointed peaks giving way to rounder, dune-like structures. Colors shifted as mineral composition varied. …creeping into the panoramas and wider shots. 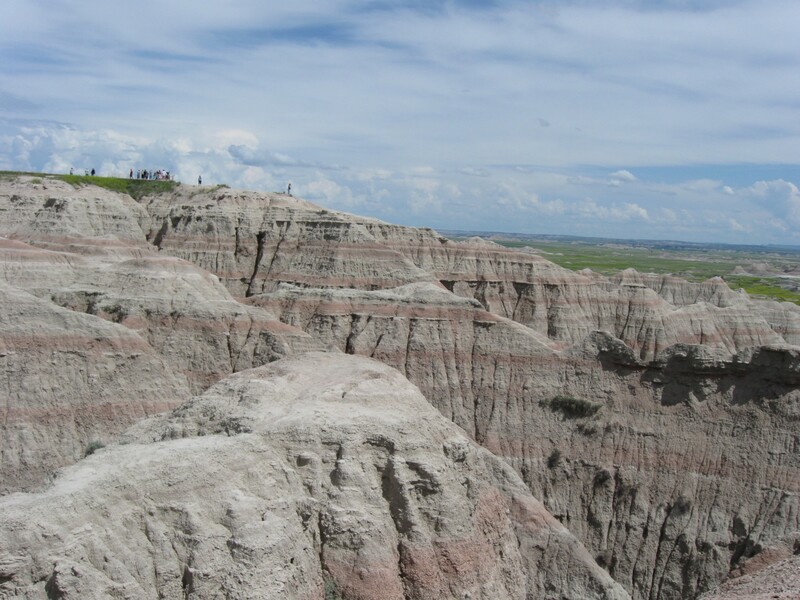 Grass didn’t stop the Badlands from looking like the best topographical features of the millennium. We tried to stay out of strangers’ ways, but I’m sure evidence of us exists in other people’s 2009 vacation photo albums and Facebook Memories flashbacks. Anne probably praying for my safety and really hoping she wouldn’t have to catch me falling. My son examining the texture and geology up close. 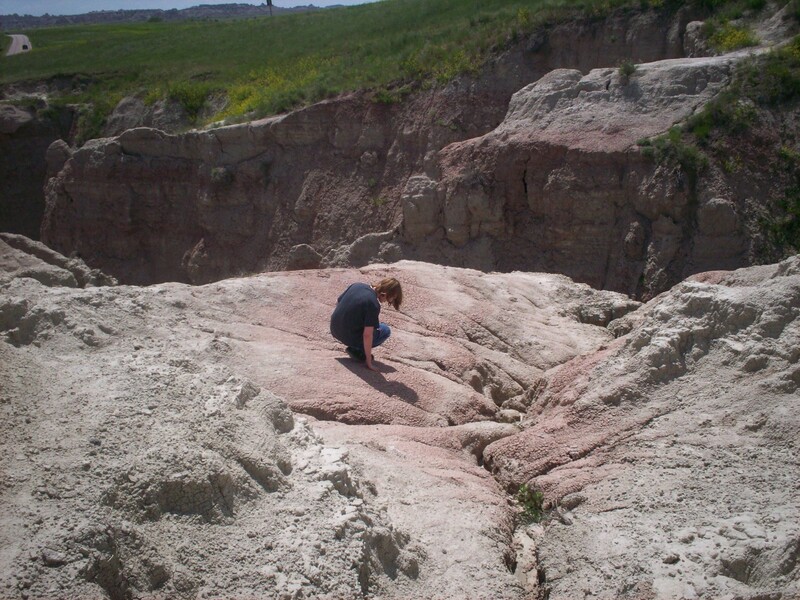 My son treating the texture and geology as his own playground slide. This writer, trying to take it all in. « “Solo: A Star Wars Story”: From Scaramouch to Scoundrel?